Please check back for more information on the 2020 Winter Carnival! A $10 Winter Carnival button is required for entry/spectating at all events. Your button will serve as your lift ticket for all events you register for, and will give you free skiing access to Howelsen Hill February 5th-February 9th (Must obtain a physical lift ticket at the Howelsen Hill ticket office). All events take place at Howelsen Hill unless otherwise noted. A waiver is required for participation in all events. (Olympian Hall, Howelsen Hill Lodge, Downtown off of 5th) A celebration honoring the Winter Carnival Queen, her Court of Attendants, Little Princesses, and the Grand Marshals. (Ages 12+, Hill Size 20, 30, 45 and 75, Howelsen Hill, Downtown off of 5th) Learn to ski jump (on alpine or telemark equipment) under the lights on the historic ski jumps of Howelsen Hill. Register ($15) the night of the event from 5:15 –5:45pm in the Fireplace Room at Howelsen Hill Lodge. Contact Pat Arnone 970-734-8966. (All Ages, Lincoln Avenue) Stroll down Lincoln to view hand carved snow sculptures! Judging will take place 3 - 4pm and winners will be highlighted with ribbons and announced at Street Events on February 8th and 9th! Sculptures will be built February 6th by high school and community teams inspired by this year’s theme. Applications can be found at www.steamboatcreates.org. For more info, contact Steamboat Creates at (970)879-9008, sylvie@steamboatcreates.org. (Howelsen Hill Party Tent, Downtown off of 5th Street) Families, take part in the Winter Carnival Celebration! Throughout the evening’s activities at Howelsen Hill, a family style chili and S’More party will be taking place in the big white tent on Vanatta Ballfield. Just call it S’More Family Fun! Enjoy the outside ski activities, then head into the tent for warm chili, a DJ and dancing! Complete with a bonfire, fire spinning by The Steamboat Pyroneers in collaboration with the Steamboat African dance & drum ensemble, and s’more making outside: it’s fun with the entire family! $10 tent entry for adults, $5 for kids 12 and under, Winter Carnival Button Required! Food is served first come, first serve, 5:30pm-7pm. (Ages 5-12, Howelsen Hill, Downtown off of 5th) A fun and entertaining noncompetitive obstacle race at Howelsen Hill for Nordic skiers and “wanna be” Nordic skiers. Spectators are welcome. Pre-registration not required, but a release form must be signed or already be on file with SSWSC in order to participate. (Ages 14 and Under, Howelsen Hill, Downtown off of 5th) Open to both skiers and snowboarders. Located under the lights of the Howelsen Hill Terrain Park, this event is open to the public. Pre-registration is required at 4:00 pm at the terrain park. A waiver must be signed or already be on file with the SSWSC in order to participate. Practice runs from 4:30-5:00 pm, Jam Session from 5:00-6:00 pm. (All Ages, Howelsen Hill, Downtown off of 5th) Everyone is a winner in this friendly competition. Come join our family fun by racing or bumping down the junior courses on Howelsen Hill Face. Go head to head against your child on either the GS style race course or dual mogul course. Pre-registration is not required, but a release form must be signed or already be on file with SSWSC in order to participate. (Ages 4-11, Hill Size Bump & 20, Howelsen Hill, Downtown off of 5th) An enjoyable time for children to take to the Bump Jump and 20 meter jump at the Nordic jumping complex of Howelsen Hill for some “flying fun” on alpine equipment. Pre-registration is not required, but a release form must be signed or already be on file with SSWSC in order to participate. Training begins at 5:00pm. Helmet required. 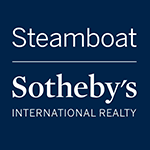 (Ages 11 and under, Steamboat Ski Resort, Stampede Run) This is a fun race and is open to any skier or snowboarder ages 11 and under (SSWSC U12 athletes are not eligible). 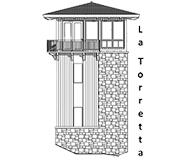 Pre-registration required at Howelsen Hill Lodge January 30th, January 31-Feb 1, or February 4-6 from 3-6pm. (SSWSC Athletes, Howelsen Hill, Downtown off of 5th) SSWSC Nordic Combined and Special Jumping athletes jumping the Hill Size 20, 30, 45,75 and 100. (Ages 15+, Howelsen Hill, Downtown off of 5th) Ski Jumping (on alpine equipment) under the lights on the historic ski jumps of Howelsen Hill. Prizes, jumping and high-flying fun. Register ($25) the night of the event from 5:00-5:45 pm in the Fireplace Room at Howelsen Hill Lodge. For more information, contact Pat Arnone at 970-734-8966. 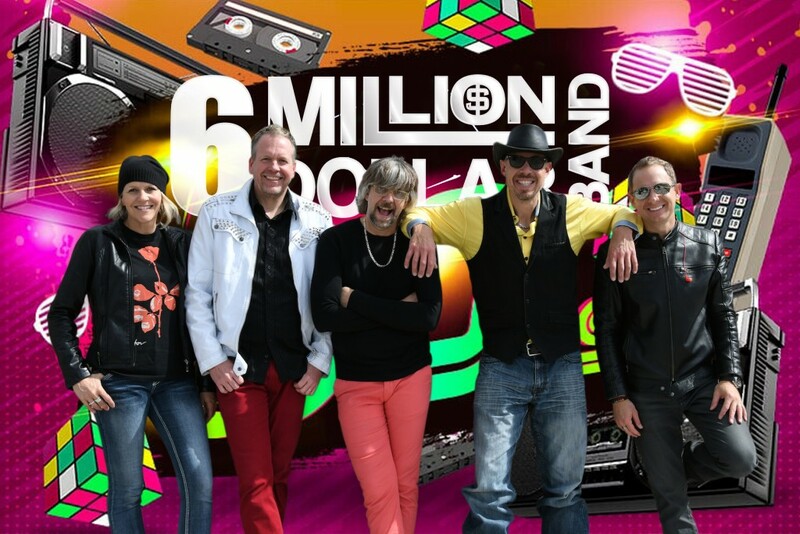 Celebrate the 107th Winter Carnival at an 80’s theme costume dance party with an evening of libations, food, live music by the 6 Million Dollar Band, a bonfire, and more. Tickets must be purchased in advance at sswsc.tix.com or 970-879-0695 x 100. (All Ages, Holy Name Catholic Church – 524 Oak St.) Hosted annually by the Knights of Columbus, this function is the perfect way to fuel up for all of the day’s activities. Donations are graciously accepted for the charitable works of the Knights of Columbus. Winter Carnival buttons are available. (All Ages, Downtown, Lincoln Avenue) The Steamboat Springs Nordic Council is looking for the fastest skate skiers in the Boat! They are hosting a 100-meter Nordic Sprint on Lincoln Avenue between 7th and 8th streets prior to the Street Events. The race will have male and female divisions as well as 13 and over & 12 and under age categories. Anyone interested can register for this free event at the Steamboat Touring Center 970-879-8180. Check in morning of the event at 7:30am at 7th Street. Presented by Yampa Valley Bank (Downtown Lincoln Avenue) A wildly entertaining show featuring children on skis and snowboards being pulled behind horses along snow covered Lincoln Avenue. Races include street slalom, ski joring, ring and spear, donkey jump and the famous adult shovel race. The horse events are for children ages 6-14; there are also non-horse events for ages 1-14. Pre-registration required at WinterCarnivalSteamboat.com promptly on January 30th at 10 am.Spectators: Don’t forget your Winter Carnival button! (Howelsen Hill, Downtown off of 5th) This is a must-see ski jumping event with participants launching off of the HS127 “Big Hill” on alpine skis and boots, rather than the usual ski jumping equipment. For more information, contact Pat Arnone at 970-734- 8966, $100 entry fee. (Howelsen Hill, Downtown off of 5th) SSWSC athletes demonstrate their skills as the sun sets behind Howelsen Hill! Athlete Lighting Provider: Yampa Valley Electric Association (Howelsen Hill, Downtown off of 5th) Join us for this must-see evening of entertainment at historic Howelsen Hill! This community favorite draws thousands of spectators for an exciting display of “Lighting the Flame.” The evening starts off highlighting athletes showing their prowess in the dark, lit by flares and LED lights! 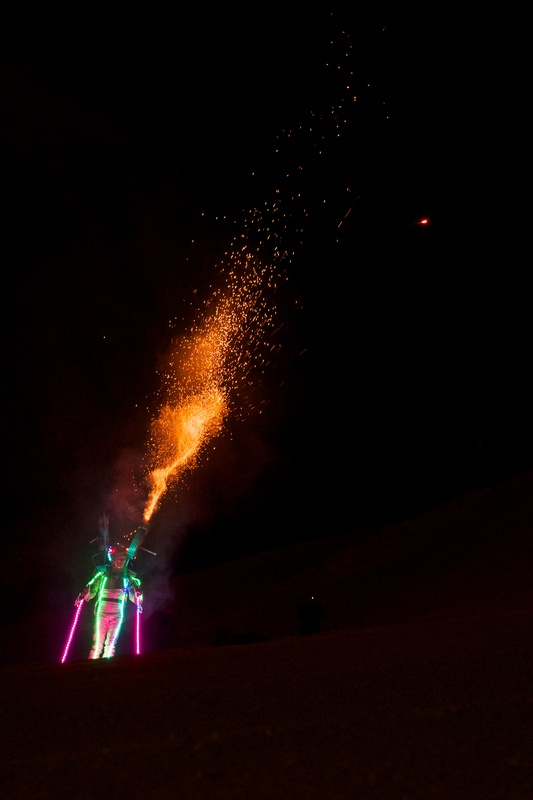 Known across the country, the Lighted Man will then ski down Howelsen Hill shooting fireworks from his pyrotechnic suit, and jumpers will soar through a fiery hoop off of the Nordic jumps! End the night with a stunning fireworks show that will feature the largest firework in the Country! Spectators: Don’t forget your Winter Carnival button! (Downtown Lincoln Avenue) A wildly entertaining show featuring children on skis and snowboards being pulled behind horses along snow covered Lincoln Avenue. 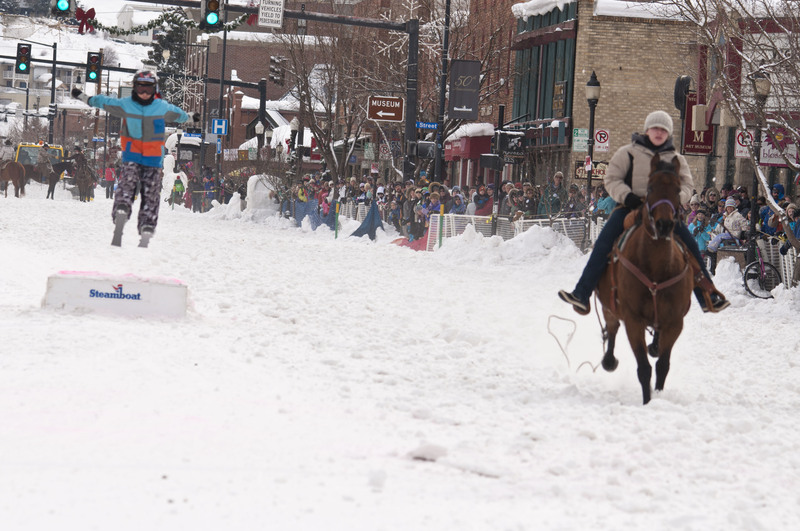 Races include street slalom, ski joring, ring and spear, donkey jump and the famous adult shovel race. The horse events are for children ages 6-14; there are also non-horse events for ages 1-14. Pre-registration required at WinterCarnivalSteamboat.com promptly on January 30th at 10 am. Spectators: Don’t forget your Winter Carnival button! (By Qualification, Howelsen Hill, Downtown off of 5th) This is a must-see ski jumping event with participants launching off of the HS127 “Big Hill” on alpine skis and boots, rather than the usual ski jumping equipment. Watch as world records get broken! 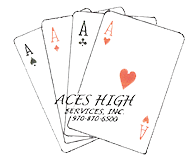 For more information, contact Pat Arnone at 970-734- 8966, $100 entry fee. Why Should I Purchase a Button? On Saturday, February 8th and Sunday, February 9th, hundreds of people will line Lincoln Avenue to witness the Street Events. Registration takes place promptly on January 30th at 10am. The Street Events are a wildly popular and entertaining show featuring children on skis (or snowboards) being pulled behind horses down a snow-covered Lincoln Avenue. Horse Events include: Street Slalom, Ski Joring, Ring & Spear, Ring & Box, and the famous Donkey Jump. Horse Events are for children ages 6 to 14 years old, while Non-Horse Events are for children ranging in age from infant to 14 years old. See below for the 2020 Street Events Schedule. (Ages 6 - 9): Contestant with skis on will have a ring of rope in their hand and will be pulled down main street by a horse. The contestant will attempt to drop the ring in a washtub as he/she passes by tub. Fastest time wins. Penalty for missing the washtub. Registration is not yet open. We try to accommodate as many kids as we can in the time we have allotted for the street events. Registration opens on January 30th promptly at 10am. Families, take part in the Winter Carnival Celebration! Throughout the evening’s activities at Howelsen Hill, a family style chili and S’More party will be taking place in the big white tent on Vanatta Ballfield. Just call it S’More Family Fun! Enjoy the outside ski activities, then head into the tent for warm chili, a DJ and dancing! Complete with a bonfire, fire spinners, and s’more making outside! $10 tent entry for adults, $5 for kids 12 and under, Winter Carnival Button Required! Purchase tickets in advance at the SSWSC front office. Food is served first come, first serve, 5:30pm-7pm. On Saturday, February 8th, the Night Extravaganza on Howelsen Hill is lit up with colors as Winter Sports Club athletes flip through the air off the jumps while others descend down the mountain leaving a red glow outlining perfect ski turns. 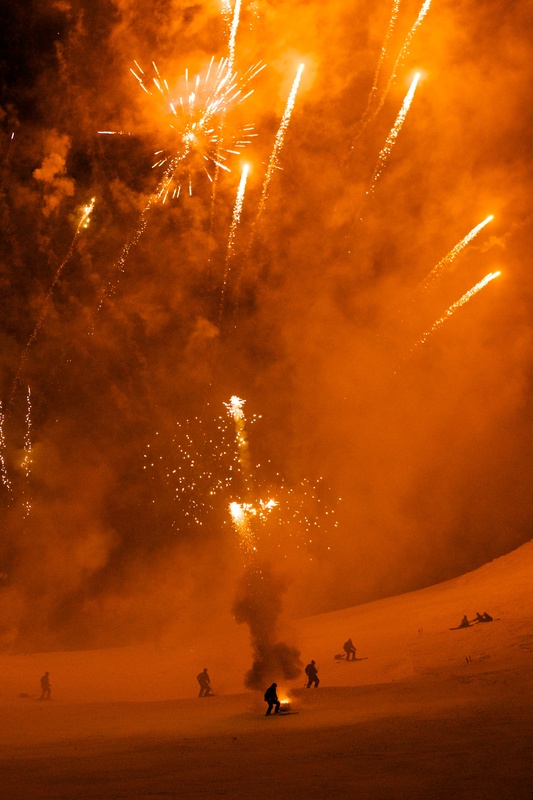 Most known, the light-wrapped Lighted Man carves down the hill with roman candles shooting out of his backpack, which makes for a spectacular opening act for the fireworks show and the brave athletes jumping through the fiery hoop. Athletes will begin performing at 6:15 for the early arrivals, and the Night Show will start promptly at 7pm with introductions followed by torchlit skiers. Fireworks end the show at approximately 8pm. Parking is limited and congested close to Howelsen Hill; consider taking a bus or walking to the show! Don’t forget to wear your Winter Carnival Button! The BEST Winter Carnival Celebration! Celebrate the 107th Winter Carnival at the best theme party in town! Tito’s Mountain Soiree will be a fun night of 80’s costumes, live music by the 6 Million Dollar Band-sponsored by Alissa and Jeff Merage, as well as appetizers, generous libations including Tito’s Handmade Vodka served in the Tito’s airstream, and bonfires outside of the heated party tent on Vanatta Field! BUY YOUR TICKET HERE! Shovel Race contestants must wear a protective helmet. Purchase last year’s 2019 Winter Carnival Poster here! The Winter Carnival, hosted by the Steamboat Springs Winter Sports Club, is a community-wide celebration of athleticism and winter. 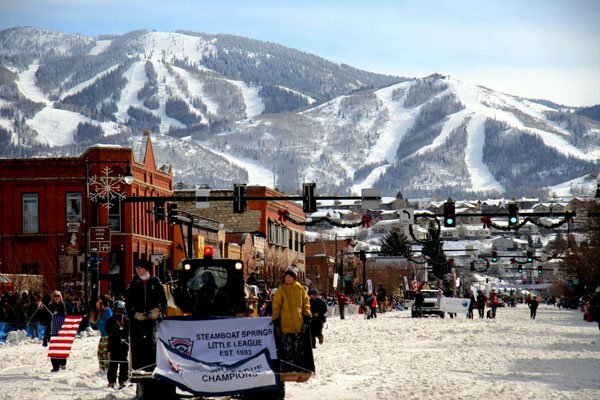 With over a century behind it as the official organizer of the Winter Carnival, the Steamboat Springs Winter Sports Club is proud to host this historic event that has been listed as one of the Top Ten Winter Carnivals in the World by National Geographic. For over 100 years, Winter Carnival has served our valley and visitors as a celebration that builds community and highlights our western and ski heritage. 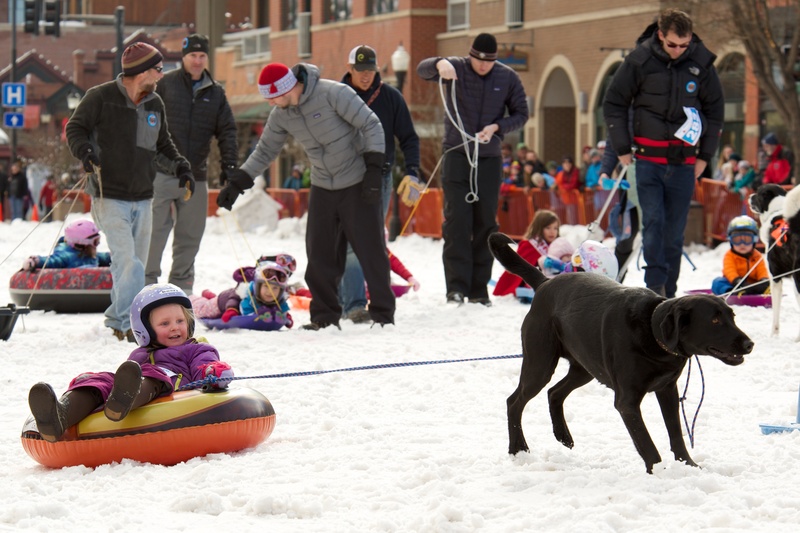 When the Steamboat Springs Winter Carnival was first established, it was a celebration born out of the residents’ need to forget the hardships of winter, chase away the shorter days, and bring happiness back to a valley plagued by snow. 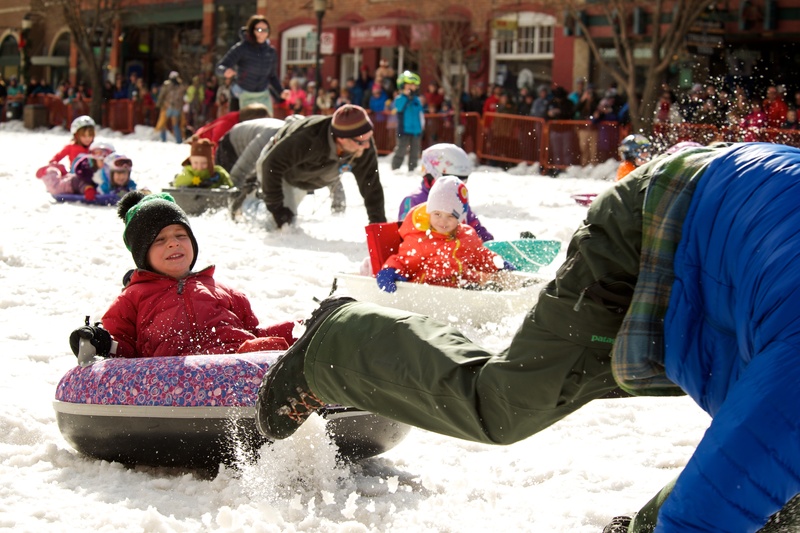 Today, this 5 day long carnival no longer represents a need to forget the long winters, it highlights the community wide acclaim of snow that has earned the town of Steamboat Springs the moniker, Ski Town, USA. 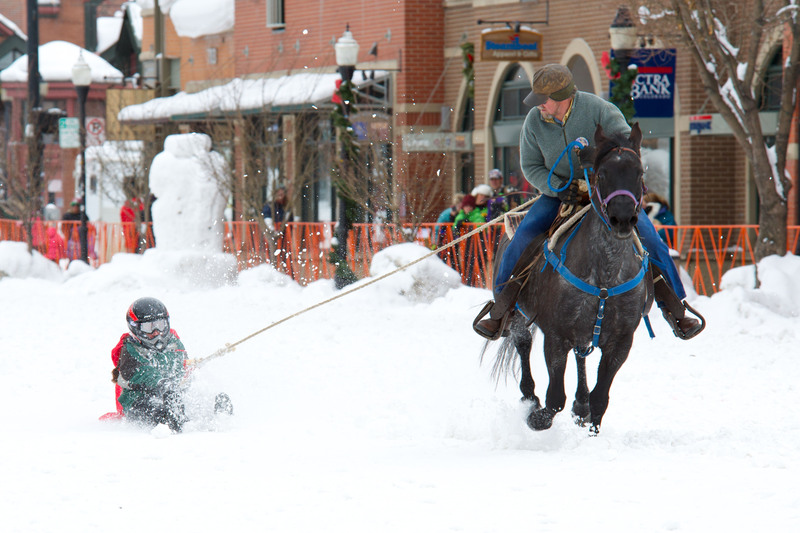 Our Winter Carnival events are unique; we cover our main street with snow, saddle up the horses and tow young athletes on skis behind horses, wild with excitement! The athletes maneuver around cones, fly off jumps and best each other in friendly sport. Throughout the week, athletes will celebrate our Olympic heritage by soaring off of Nordic Jumps, practicing spins and aerials onto an airbag, and racing down the slopes of Howelsen Hill. The Winter Carnival Night Extravaganza entertains and amazes nearly 8,000 people in attendance as they watch the famous Lighted Man in his pyrotechnic suit shooting fireworks from his body, athletes jumping through the fiery hoop, and the spectacle of a barrage of fireworks that culminates in the explosion of one of the largest firework shells in the world. We are privileged to celebrate our history and heritage in this idyllic mountain town with the largesse of a world-class Winter Carnival. We invite you to join us as we celebrate the unique heritage and community of the one, the only, Ski Town, USA.